Over the last few weeks, I have seen the trailer for the new Krampus movie on TV and it seems that Krampus is starting to get more well-known in the U.S. I am not into horror movies in general, so I have not considered watching this one (although the reviews have not been as bad as I thought they would be based on the trailer, and it seems that it was the most popular movie based on ticket sales on Friday). I am worried what Hollywood has done to a traditional figure I have grown up with. 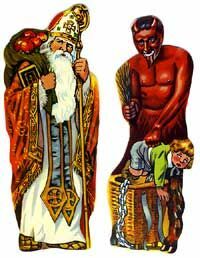 Also, it is difficult for me to understand how this figure can be so fear-inspiring to base a whole movie on it – after all, even as a I kid I knew that Krampus was just a dressed up teenager/man. 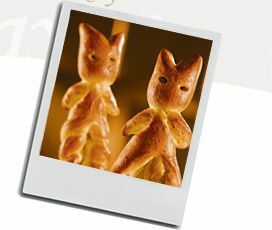 Even more common than the wooden masks with horns, fangs, and long tongue are the much more adorable renditions of the Krampus image on ginger bread, as pastry, or as hollow chocolate figurine. 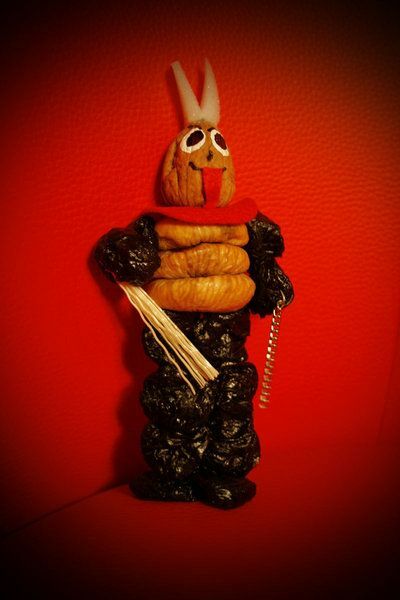 It is hard to fear something that is not only delicious but also cute with only the slightest mischievous look as most edible renditions of Krampus are. 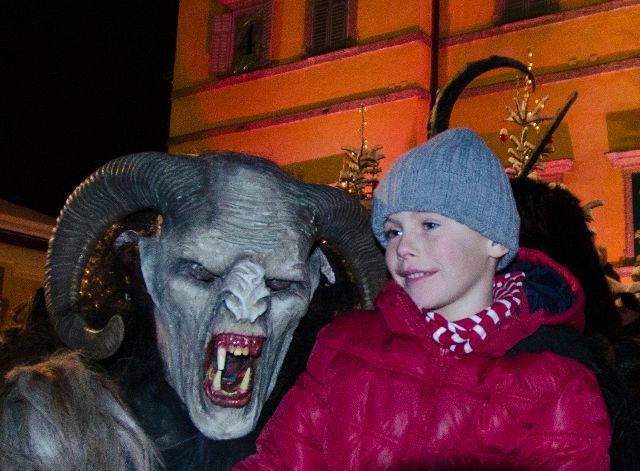 I have always thought that the unknown is much scarier than anything well-known, and I am sure I have eaten more Krampus sweets in my life than I have seen the costume version. 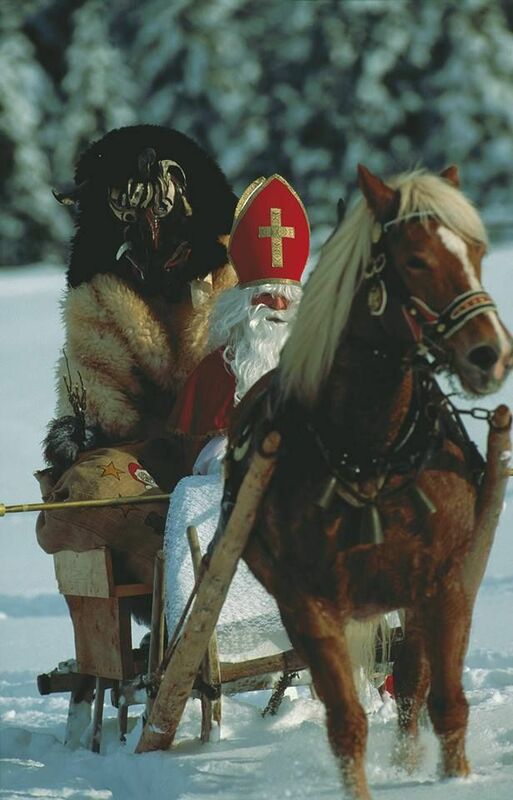 So it seems odd to me to choose Krampus as the main concept of a horror movie; now ghosts and possessions à la The Exorcist are a different story but not the grumpy side-kick of St. Nikolaus. PS: I am curious to see how popular this movie will be in Austria.